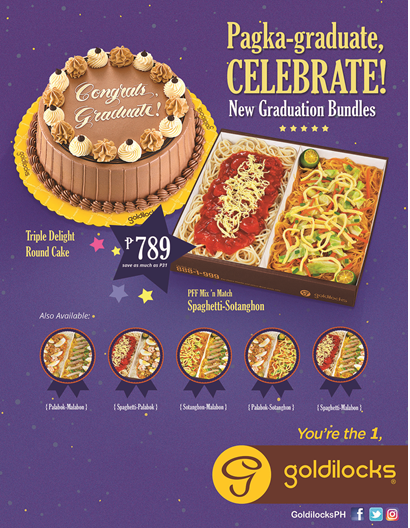 Lemon GreenTea: Goldilocks introduces the all New Graduation Bundles! Goldilocks introduces the all New Graduation Bundles! One’s graduation is always a cause for celebration, family and friends are invited to feast and join in merriment as they give praise to the hard work, dedication, and success of their graduates. As adults, we also remind them that the next step in their life is up to their choosing and that there are multiple paths that are open for them.